Home / About Us / Jillian Rosen, Esq. 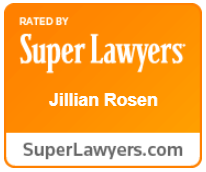 JILLIAN ROSEN is a partner at Pollack, Pollack, Isaac & DeCicco, LLP working out of our Manhattan office. Since joining the firm’s litigation/appellate department in 2007, Ms. Rosen has more than 170 Appellate Division decisions, including several victories in the New York State Court of Appeals. Notably, in Henderson v. Manhattan & Bronx Surface Tr. Operating Auth., 16 NY3d 886, 887-888 , the Court of Appeals affirmed the striking of defendant’s answer for failure to comply with a conditional discovery order. Ms. Rosen’s practice is devoted to writing appeals and substantive motions for plaintiff’s attorneys, and appearing for oral argument before the Appellate Divisions and the State Courts. Ms. Rosen received her B.A. from Washington University in St. Louis, where she was honored for extraordinary leadership as a collegiate student-athlete by Omicron Delta Kappa. Ms. Rosen obtained her J.D. from Brooklyn Law School. She is the author of New York Law Journal’s article “Trivial Defect Doctrine In Slip and Fall Cases”. 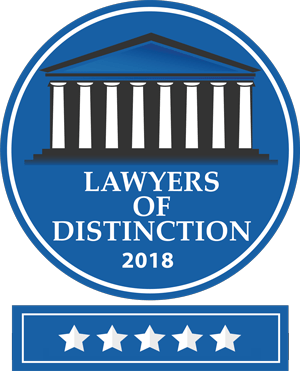 In 2018, Ms. Rosen was selected to join the Lawyers of Distinction organization that recognizes the top 10% lawyers in the United States. Ms. Rosen is admitted to practice in the State of New York and the United States District Courts for the Southern and Eastern District. Author, New York Law Journal August 2, 1996 “Trivial Defect Doctrine In Slip and Fall Cases"